4D Peek a Boo of Pensacola was started because I wanted to give others the breathtaking experience of seeing their unborn child just like I did with mine while they were still in the womb. I have been blessed enough to be able to share this with mothers everyday! From a yawn to a hiccup or stretch, your ultrasound will allow you to take a sneak peek at your unborn child in the womb. 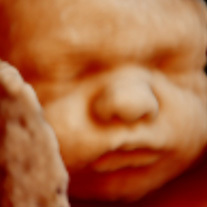 We only use state of the art 3D 4D ultrasound machines by GE to ensure you get the best images of your unborn baby. Our goal at 4D Peek a Boo of Pensacola is to ensure that youhave the best experience that you could possibly have. We are a warm and inviting studio and welcome all of your family, friends, and children. We believe that children should be a partof this wonderful experience so they feel like a part of the family at all times. At 4D Peek a Boo of Pensacola, we have a large theater-like viewing room that can accommodate seating for up to 10 plus people. We have plenty of toys to keep the little ones entertained once they get restless as well. 4D Peek a Boo of Pensacola also offers a boutique that is filled with special baby related gifts that you can't find in your ordinary store. We offer a variety of items including ultrasound photo frames, stretch mark creams, diaper bags, and blankets along with many other specialty items.